Read this special two part article selection, chosen by the Editors of European Journal of Operational Research, to mark the journal's 40 year anniversary. "The European Journal of Operational Research (EJOR) published its first issue in 1977, and thus in 2017, the journal celebrates its 40th anniversary. On this occasion, the editors present a special anniversary issue composed of 40 influential papers in the history of EJOR. The selection has been made from among 14,617 articles published in EJOR until the end of 2016. It is composed of two parts: 20 most cited papers according to the Scopus ranking, and 20 papers characteristic for recent trends, published in each of the last 20 years. Some review articles presenting benchmark problems or a literature review have been excluded from the list in spite of a high citation score, so as to leave the place for papers shaping the field with new ideas. 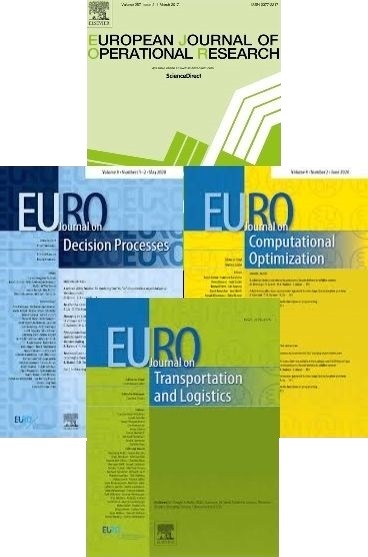 The European Journal of Operational Research (EJOR) publishes high quality, original papers that contribute to the methodology of operational research (OR) and to the practice of decision making. The relation with ongoing research should be demonstrated by providing proper reference to the recent OR literature. With application papers, originality should be demonstrated by applying OR to a problem with interesting new aspects or by providing fresh insights leading to successful implementation. Practitioners often suffer from the need to conceal commercial secrets. Referees will take this into sympathetic consideration when advising on an application paper, but it will not be allowed to detract from clarity of the presentation. EJOR is much more selective than in the past due to the growing inflow of submissions and limited volume. Papers that do not contain a major new research finding or novel approach to the application of OR will be rejected and not sent out for review. The same applies to papers written in poor English. As acceptance to EJOR is competitive, a paper may also be rejected because in the opinion of the editor it does not make a sufficient scientific contribution - even if some of the reviewers support publication. EJOR publishes 24 issues per year over 8 volumes. EJOR commenced publication in 1977. Elsevier has established a number of agreements with funding bodies which allow authors to comply with their funder's open access policies. Some authors may also be reimbursed for associated publication fees. To learn more about existing agreements please visit http://www.elsevier.com/fundingbodies. Articles are made available to subscribers as well as developing countries and patient groups through our universal access programs (http://www.elsevier.com/access). For more information, please visit the journal’s homepage: www.elsevier.com/locate/eor.